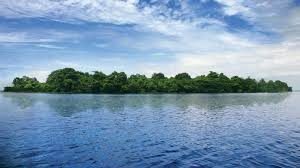 The legend says that the island called Pathiramannal is formed when Vilwamangalath Swamiyaar, an ardont devotee of Lord Krishna wanted to do his evening rituals, the lake had made way for the land rising from below for him. This small biodiversity is a paradise for many migratory birds and is located between Thanneermukkam and Kumarakom. It is only accessible through water. These regions are wonders of the indigenous agricultural engineering know-how of Kerala and remind the visitor of the famous dikes of Holland. 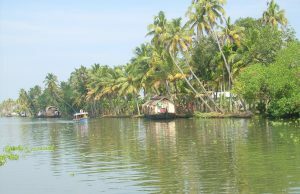 Extensive areas of Land have been reclaimed from the backwaters and are protected by dikes built all around . Here cultivation and habitation are made possible four to ten feet below Sea Level. A leisurely cruise along the Canals that surround these Kayals is a memorable experience. 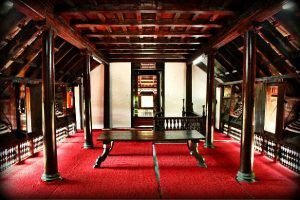 ‘Karumadikkuuttan’ , a renowned Buddhist pilgrim centre in Karumady, Ambalapuzha about 20 Km towards south east to the district head quarters on Ambalapuzha-Thiruvalla Road. 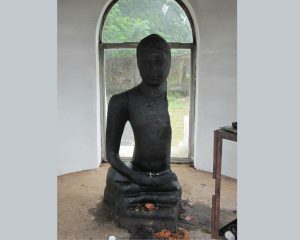 ‘Karumadikkuttan’ is a special Buddha statue made of solid black granite, dates back to the 11th century. 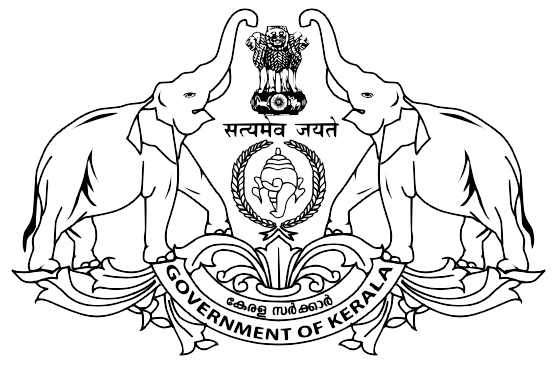 The site is today under the protection of Kerala Archaeology Department. People from across the nation and abroad come here to pay homage and seek blessings, as stories about its wonderful healing properties have spread far and wide. 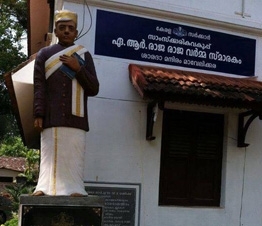 20 km south of Alappuzha, Mahakavi Kumaranasan, one of the greatest poets of modern Kerala is laid to rest here. He was the P.D Shelly of Malayalam Literature. Kumaranasan brought great changes in literature and could give the clarions call for changing the society also. 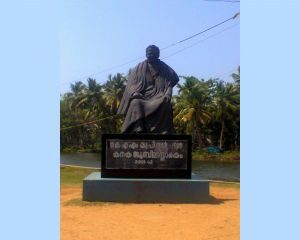 A.R Rajaraja Varma Valiya Koyithampuran who was famous as ‘Kerala Panini’ was a great poet and grammarian. The Malayalam literature is much indebted to Sri. A.R Thampuran. Saradha Mandiram was built by him as his residence. Now it is bought by the State Govt. & kept as his memorial. Krishnapuram Palace Built by Marthandavarma Maharaja at Kayamkulam in Karthikappally Taluk is famous for its mural depicting the story of ‘Gajendramoksham’. Dating back to the 18th century, this exquisite piece of art is one of the largest murals in Kerala. This Palace museum houses antique sculptures, paintings and bronzes. This is one of the most popular picnic spots in Alappuzha. 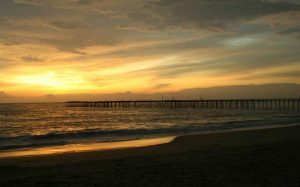 The pier, which extends into the sea here, is over 137 years old. 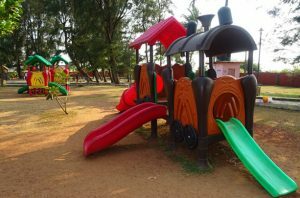 Entertainment facilities at the Vijaya Beach Park add to the attractions of the beach. There is also an old light house which is greatly fascinating to visitors. 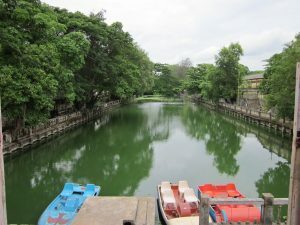 The park offers boating facilities and a swimming pool. Picnic spot with children’s park & boating facilities.